Floor Plan Club One - 3 bedrooms, 3.5 bathrooms, 2,041 square feet, attached two car garage. Floor Plan Club Two - 3 bedrooms, 3.5 bathrooms, 2,115 Square Feet with attached two car garage. Floor Plan Club Four - 6 bedrooms, 3.5 bathrooms, 2,757 Square Feet of space with attached two car garage. IUSD Schools serving Cricket Club, Oak Creek are Oak Creek Elementary School with 10 ranking located located on 1 Dove Creek. Lakeside Middle School located on 3 Lemongrass Irvine. And, Woodbridge High School located on 2 Meadowbrook, Irvine. 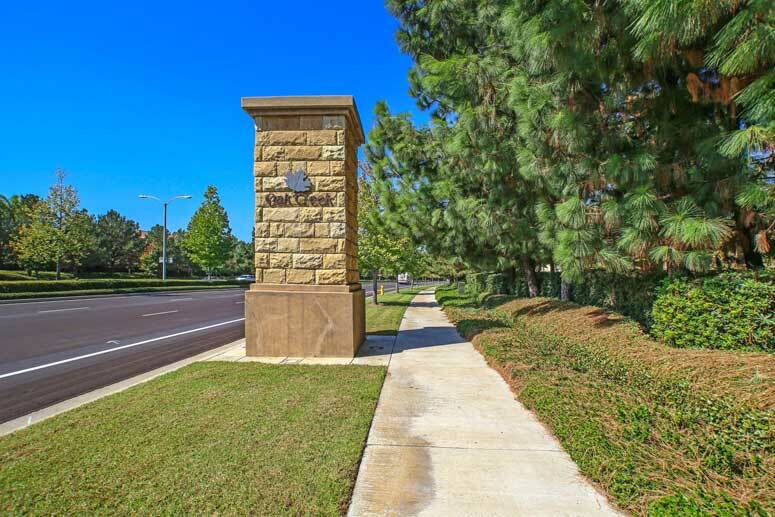 The Master HOA to Oak Creek is Oak Creek Village Maintenance Association managed by Merit Property Management located on 1 Polaris Way Suite 100, Aliso Viejo, CA 92656. Their contact information is 949-448-6000. Parks association are served by Oak Park Maintenance Association managed by Action Property Management located on 2603 Main Street Suite 500 Irvine CA 92614. Sub-association is The Cricket Club Maintenance Corporation managed by Millineum Community Management located at 1900 East Warner Avenue Suite1P, Santa Ana, California 92705. They can be reached at 949-225-0200. Association due is approximately $61 per month. So if looking to buy or lease in Cricket Club in Oak Creek then, please, have a look around, and contact us with any questions you might have about the market or our services. No question is too mundane - we want to help!